It's common for cats with health problems to suffer from disrupted dietary habits. What good is the healthiest diet food if the cat refuses to eat it? 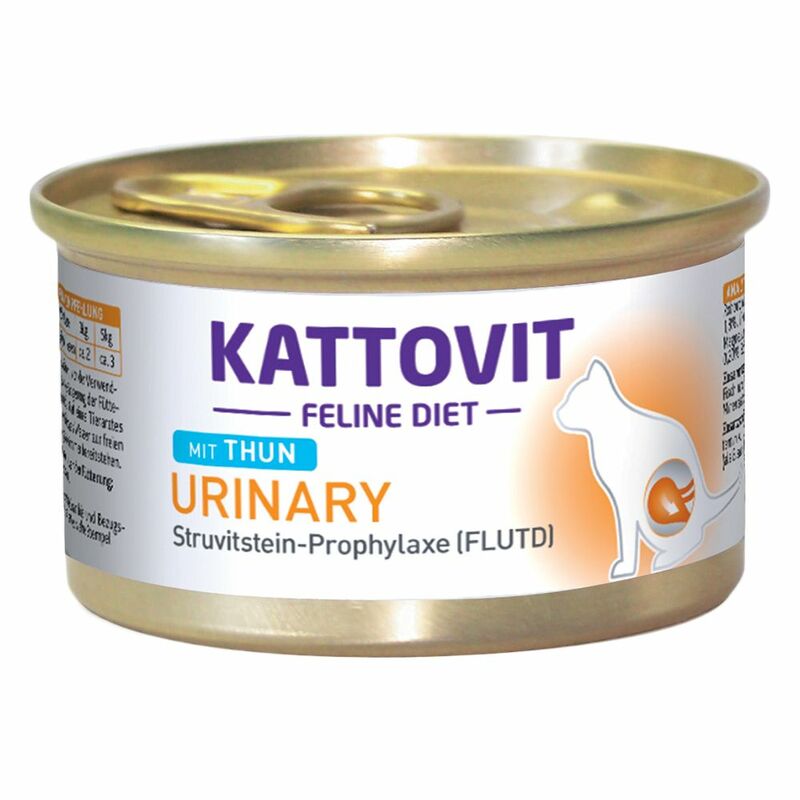 Kattovit has put together a range of foods that ensure top acceptance from cats. Since health problems are often a recurring iΒue, the special food must remain the main component of the daily diet. That's why Kattovit is designed to be used as a complete feed. To that end, it contains everything your cat needs for an active, healthy life. The Kattovit wet food range: Special diet for cats suffering a variety of health iΒues With taurine: for a healthy heart and good vision With important vitamins and minerals: for a complete, well-balanced diet Please note: Kattovit should not be used in lieu of medication, but in combination to support your cat's health. It is eΒential that you consult a vet in acute cases.